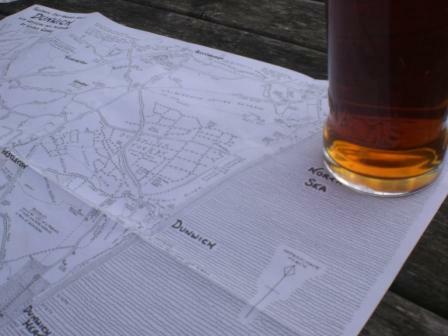 Using some maps produced by Wilfrid George and a book by Jean and Geoff Pratt on Pub Walks in Suffolk we set off from Southwold to Dunwich. 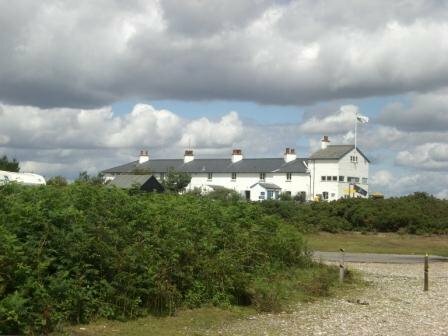 If you have never been to Dunwich then this is a must visit place. It has an atmosphere of history of what was once there but has now been swallowed up by the sea. Coastal erosion known as long shore drift silted up the natural harbour and killed off the fishing port. 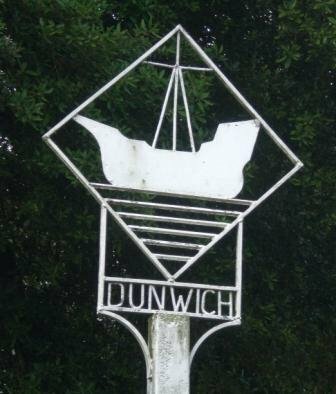 Over the last 1200 years half a mile of coastline has disappeared under the sea taking it with it many churches and houses for Dunwich was once one of the largest seaside ports in East Anglia. 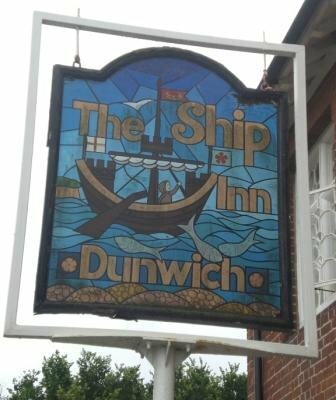 If you have time visit the wonderful Dunwich Museum this is nearby the pub The Ship Inn which was where we parked to start our walk. I wore my Garmin 205 for this walk , I have only previously used it for running but wanted to test its battery life and how useful it might be for walking. 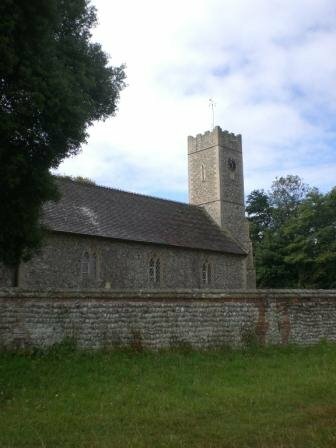 We set off up to St James church and past this along Sandy Lane which is an old roman carriageway. 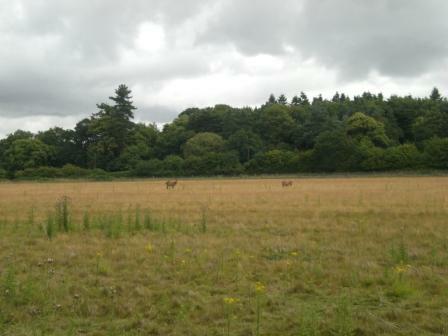 At Dunwich you will often see deer and along Sandy Lane we spotted a couple having a graze. 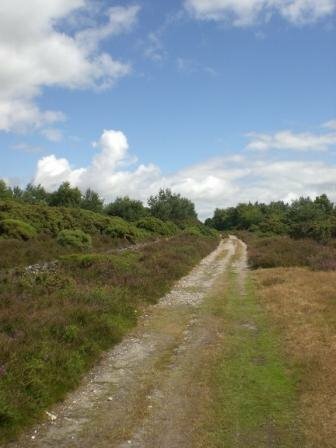 On this walk you soon emerge on to Dunwich Heath where heather and gorse is abundant. 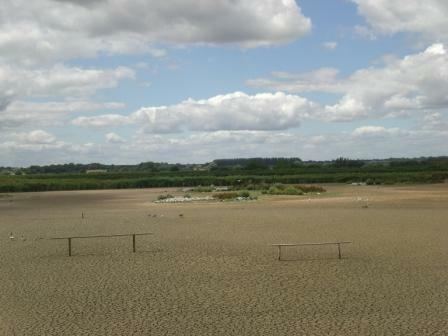 The sandy loam soil is soft to walk on and the coastal views are fantastic. This area is a mecca for bird watchers and we spotted many with expensive set ups attempting to photograph rare birds. We had lunch here at the Coastguard Cottages where there are some great views from the cliff edge. This is now a National Trust site and there are some tea rooms and 1-2 holiday homes. You can of course question whether Sizewell Nuclear Power Station is an ugly eyesore but it is providing many local jobs. The question of how we meet our energy needs is a difficult one and greener means such as wind power can only meet part of this. 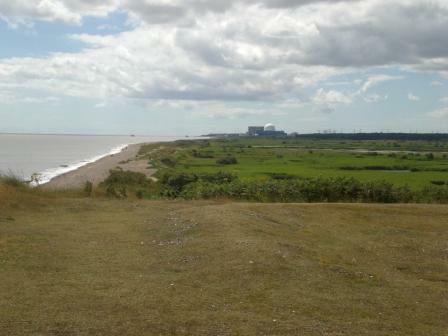 When you look at Sizewell with its white dome that can be seen for miles you know it is a potential menace which creates much needed energy but leaves behind a long time legacy of nuclear waste and what to do with it? 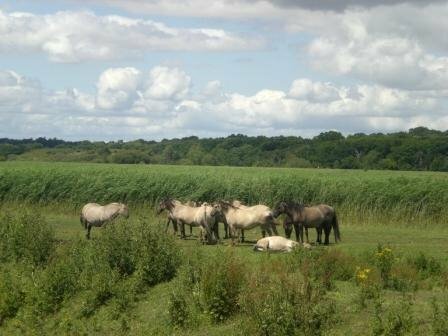 As a complete contrast to Sizewell you have the beauty of Minsmere and tempted by this we decided to extend our walk to follow a footpath shown on the Wilfrid George map around Minsmere. 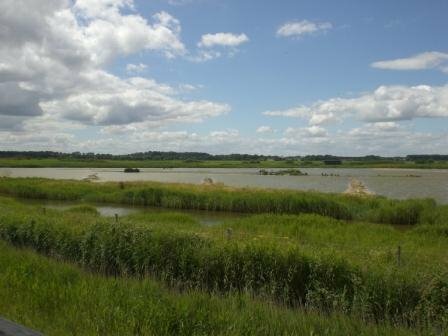 Here there are a number of RSPB bird hides to get up close to the many different wading birds and the terns which are happy to dive bomb you if you get too close to one of their nests. 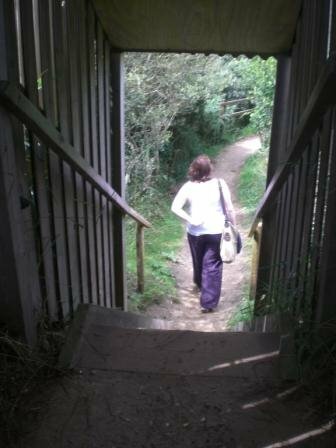 When you reach the sluice gate there is a path which travels inland following the path of the Minsmere River. 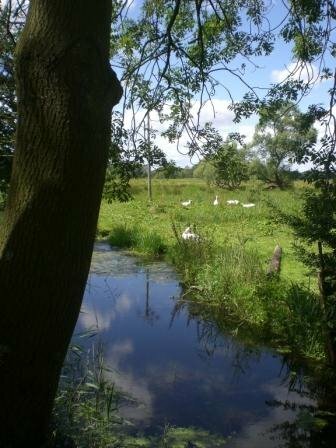 This was one of the best parts of the walk with the only noise to be heard to be that of reeds in the wind and the call of birds. There is a real sense of peace and quiet and you could have walked this path naked if you had wished as there wasn’t another living soul to be seen! However soon after I mentioned this we did come across two other walkers so perhaps just as well we kept our clothes on. 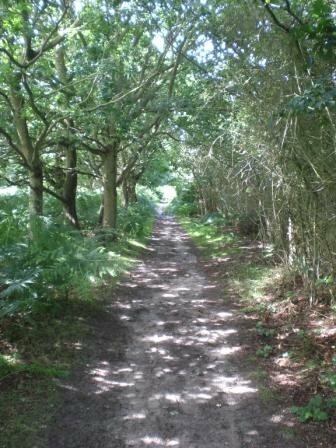 The pathway emerges in the village of Eastbridge and if you are sensible you will stop at the fabulous pub The Eels Foot Inn. The food looked very good but we had packed a lunch so it was a liquid refreshment in the form of another pint of Adnams this time the aptly named Explorer. Feeling refreshed we continued our walk over the dam at Minsmere River and continued along a minor road before turning up a wide footpath which serves as the access into Minsmere Nature Reserve. However rather than visit the RSPB centre we continued on up Saunders Hill to a place called Downzarland. 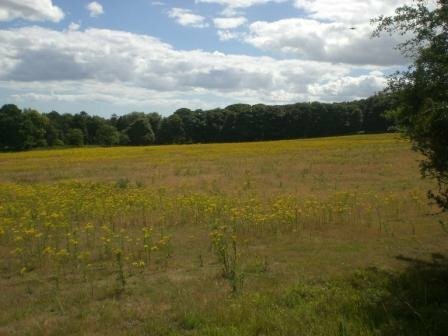 No idea why it is called this but this area is full of these yellow flowers/weeds? 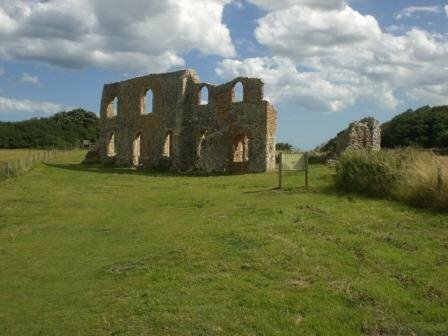 Returning through Dunwich Heath we decided to visit Dunwich Priory. Little remains here and again you are reminded of the devasting power of the sea. Once the home of an order of Franciscan Friars from the 13th century but there is evidence of a lot of repair work to the ruins that remain. A short walk back to the car at the Ship Inn and we had according to the GPS walked a little over 10 miles and had a day to remember.